Government funding for ‘free’ early years childcare has remained the same for a second year, creating a challenge for parents and providers. 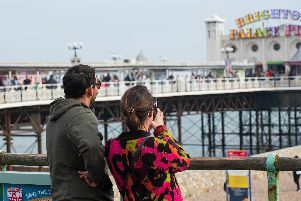 Brighton and Hove has the lowest level of funding of any unitary authority in the south east and faces another year with the same funding and no inflationary increase. Members of the city council’s children, young people and skills committee heard about the issues on Monday (January 14), during presentations on childcare sufficiency funding and nursery fees. Caroline Parker, head of early years, youth and family support, told councillors how the funding levels were in effect a cut, as staff pay and other costs will increase. The authority’s funding is based on an area cost adjustment linked with East Sussex. Area cost adjustments make an allowance for how expensive an area is when it comes to delivering services based on a number of factors including the number of children, wages and business rates. Labour Councillor Mo Marsh said: “What can we do? If we do nothing about it we won’t get anywhere. Cllr Marsh, a retired teacher and councillor for 24 years, also recalled when Brighton and Hove came under East Sussex County Council’s before the unitary authority, she felt it did not get its fair share of funding then either. Outgoing committee chair, Labour Councillor Daniel Chapman said: “I have written to MPs and I have written to the minister myself to say we are not getting the appropriate area cost adjustment. Since September 2017, working parents of three and four-year-olds have been eligible for the extended entitlement of 30 hours free childcare. The rate of funding from the Department for Education (DfE) for early years is set at £4.45 per hour for three and four-year-olds and £5.20 per hour. Average costs of childcare in Brighton and Hove for young children are £54 for a full day, £5.57 per hour for sessional care and £5.43 per hour for a child minder. Councillors agreed to raise fees for paying children at council nurseries from £5.35 per hour for all ages of children to £5.57, following a report from officers. The cost of meals will also increase by 12p to £2.30 to reflect the increases from the supplier. Vicky Jenkins, early years and childcare manager said officers have continued concern about the low levels of funding in Brighton and Hove for the early years free entitlement. Some private providers are charging extra fees to help cover the costs of the 30 hours funded places. She said: “We do not have any concerns that providers are not offering that [30 hours] as they should according to the guidance. Childcare is generally considered quite buoyant, with many providers in the city. Green Councillor Alex Phillips, who has a young son, said there are great options but is aware of challenges. She said: “Flexibility is difficult. Out of hours, ad-hoc childcare is vastly more expensive than during the daytime which is quite expensive anyway. Green councillors abstained from voting on the increased nursery fees.